Custom Made Taffeta Flower Girl Puffy Sleeve Dress Pageant Dress Infant Baby Toddler Girl, Shirley Temple Style Dress, You Choose Colors! 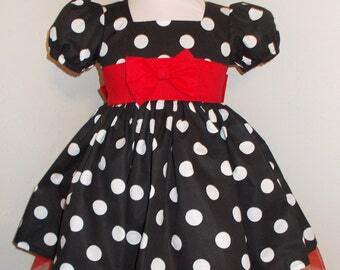 This little dress is made of a gorgeous polyester taffeta fabric. 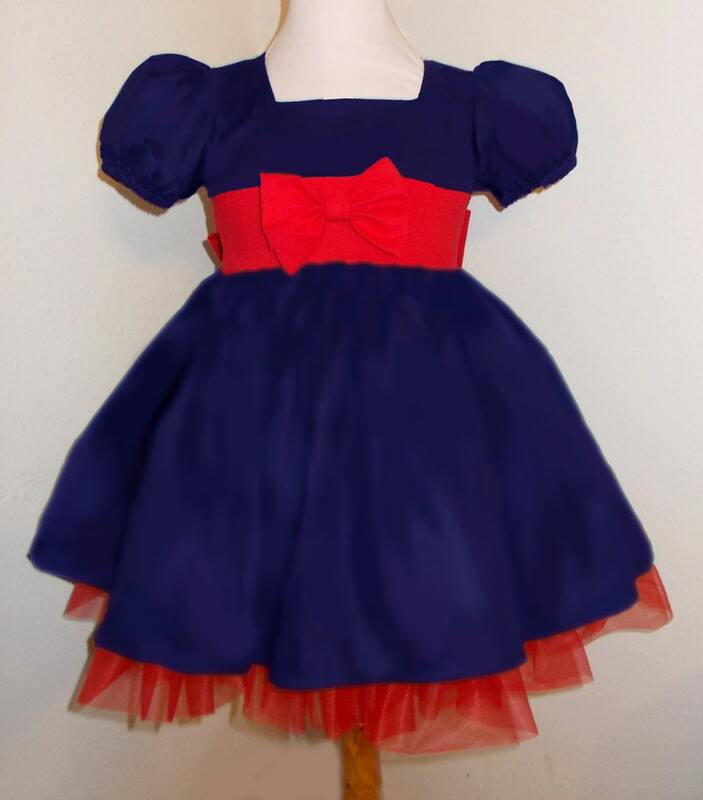 Perfect for a Infant, Baby, Toddler or Girls Pageant Dress, or Flower Girl Dresses, and Holiday Dresses. 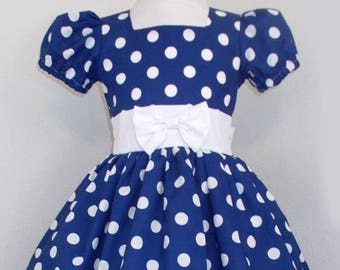 Hand gathered skirt is made extra full for little girl's twirling fun, and built in petticoat makes it stay extra full. 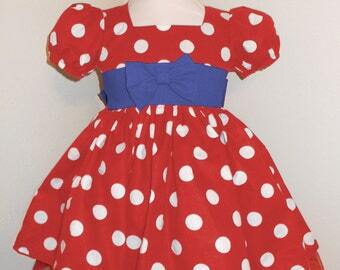 A wide sash at waist is adorned with a removable fabric bow, that matches the peek a boo petticoat at hem. See photos for additional colors available! Please allow time for production and shipping on my handmade items, see my shop home page message for current turn-around time, be sure and allow time, or convo me if you need sooner. Custom orders may take longer depending on the season and demand. If you will let me know if you have a specific need by date, I will do my best to meet your date. Urgent orders can be rushed with added cost if I am not too swamped. Please contact me about rush orders before ordering. If needed, any of my items can be made to measurements to insure fit. Chest and Waist measurement are Child's Measurement NOT Garment. 3-6 Month - Chest 19" - Waist 19" - Length (shoulder to hem) 15"
6-12 Month - Chest 19.5" - Waist 19.5" - Length (shoulder to hem) 16"
12-18 Month - Chest 20" - Waist 20" - Length (shoulder to hem) 17"
18-24 Month - Chest 21" - Waist 21" - Length (shoulder to hem) 19"
2T - Chest 22" - Waist 22" - Length (shoulder to hem) 20"
3T- Chest 23" - Waist 23" - Length (shoulder to hem) 21"
4T - Chest 23.5" - Waist 23.5" - Length (shoulder to hem) 23"
5 - Chest 24" - Waist 24" - Length (shoulder to hem) 24"
6 - Chest 25" - Waist 25" - Length (shoulder to hem) 25"
7 - Chest 26" - Waist 26" - Length (shoulder to hem) 26"
8 - Chest 27" - Waist 27" - Length (shoulder to hem) 28"
10 - Chest 27.5" - Waist 27.5" - Length (shoulder to hem) 29"
12 - Chest 28" - Waist 27" - Length (shoulder to hem) 30"
14 - Chest 29" - Waist 29" - Length (shoulder to hem) 31"
16 - Chest 30" - Waist 30" - Length (shoulder to hem) 32"
Custom Made Taffeta Flower Girl Puffy Sleeve Holiday Pageant Dress Infant Baby Toddler Girl, Shirley Temple Style Dress, Christmas Dress! 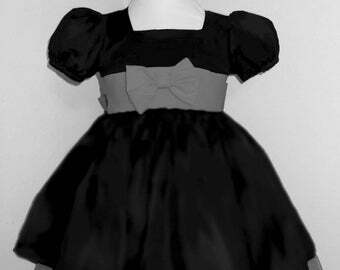 Black and Charcoal Gray Taffeta Flower Girl Puffy Sleeve Pageant Dress Infant Baby Toddler Girl, Shirley Temple Style, You Choose Colors! 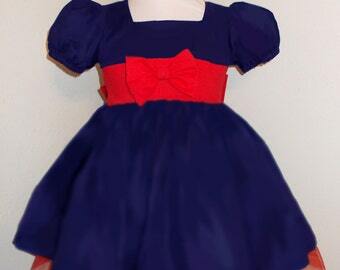 Perfect for my little Abby (Shirley)!